Pre-heat your oven to 350 degrees. 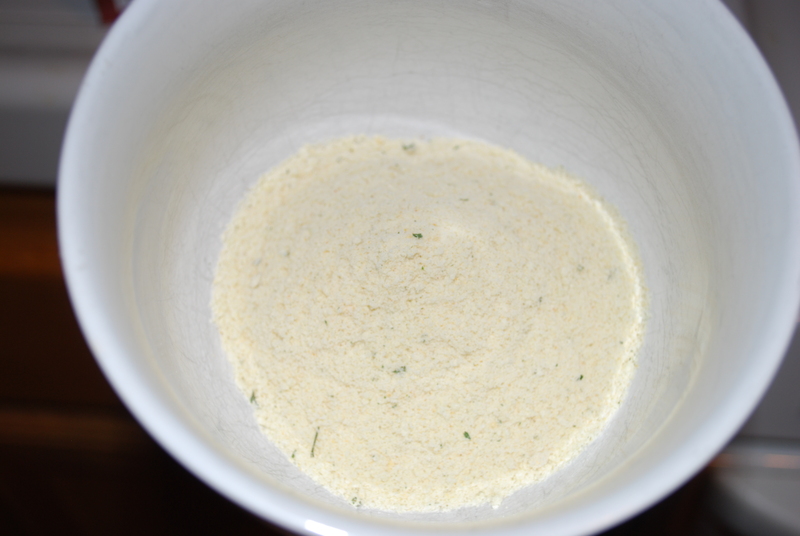 Take the chicken tenders and dip them in olive oil and then roll them in a half a serving of powdered mashed potatoes. 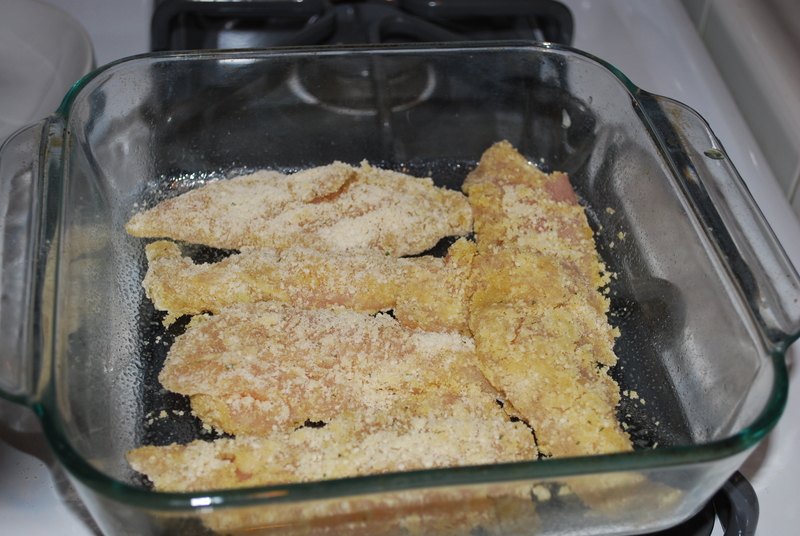 Spray a pan with non-stick spray and place the chicken tenders in the pan. 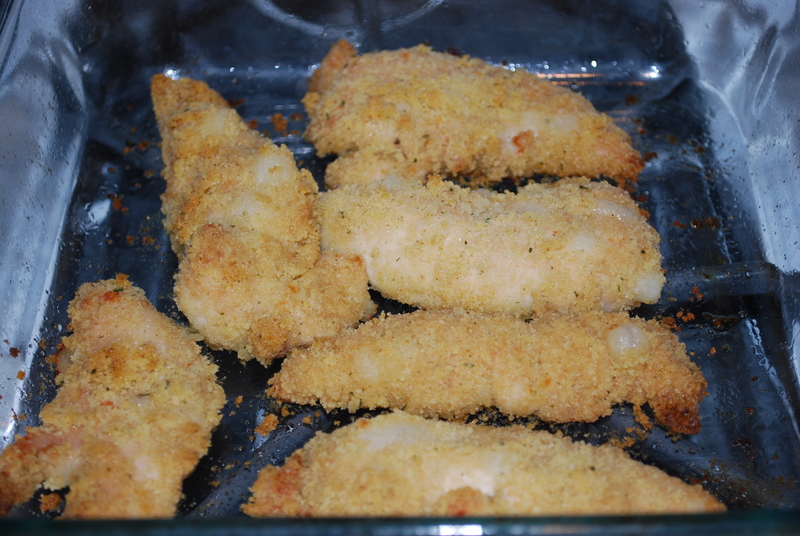 Cook for 20-30 minutes or until its golden brown. 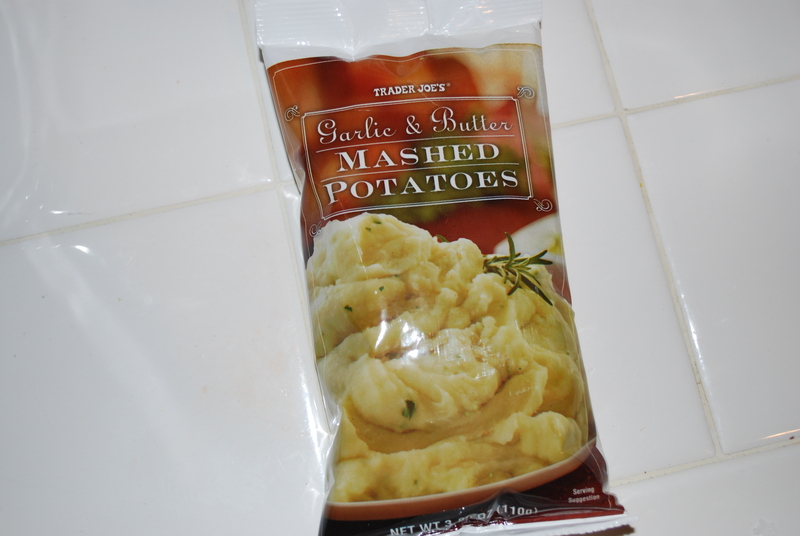 Use the other half of the powdered mashed potatoes to make a side dish for yourself or your family. 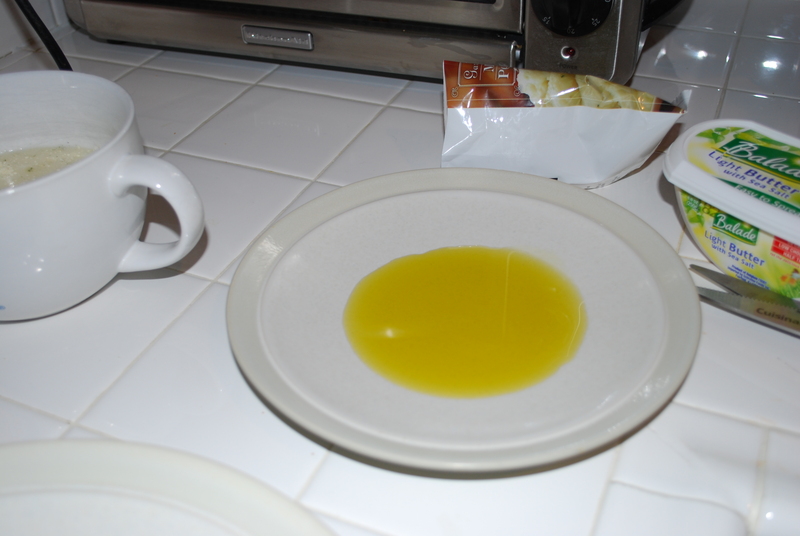 And you could always cook both packets because the box comes with 2 servings if 1/2 isn’t enough for your family. 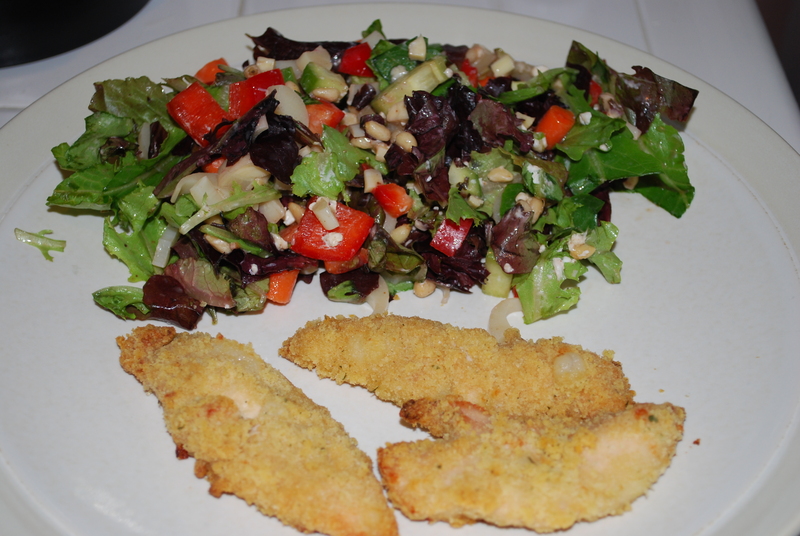 Note: this recipe was adapted from an idea that my Mom gave me, love you Mommy xoxo!